Guide London men's 1960s mod tipped collar plain shirt in white. A twist on the classic smart dress shirt, this Guide London masterpiece features a sublime hint of contrast brown tipping to the wide spread collar. The contrast buttons in trademark sequential formation are accompanied by brown button hole stitching that tie in perfectly with the piping trim. 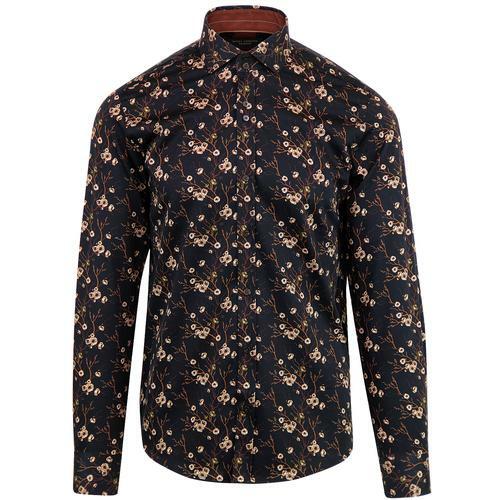 A stylish vintage ditsy floral print accentuates the inner back neck collar. Slight textured finish to the fabric. 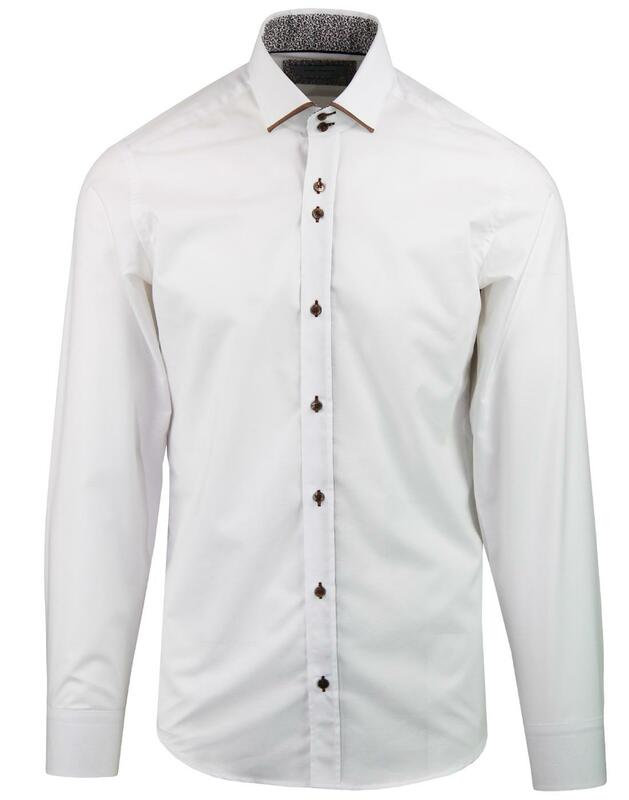 This Guide London retro piped collar trim shirt is sure to add a subtle yet distinctive edge to tailored mod attire. 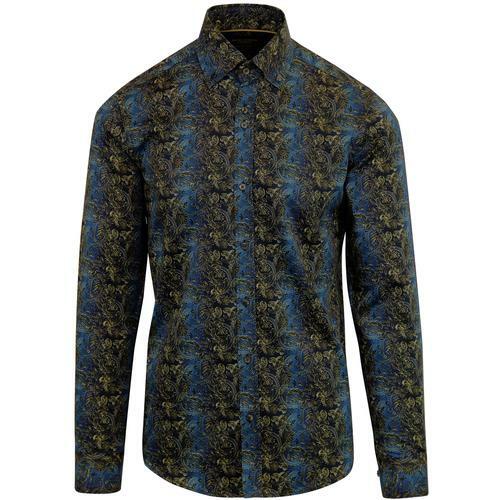 The ideal shirt to compliment three piece suits! - Guide London men's 1960s mod tipped collar shirt in white. 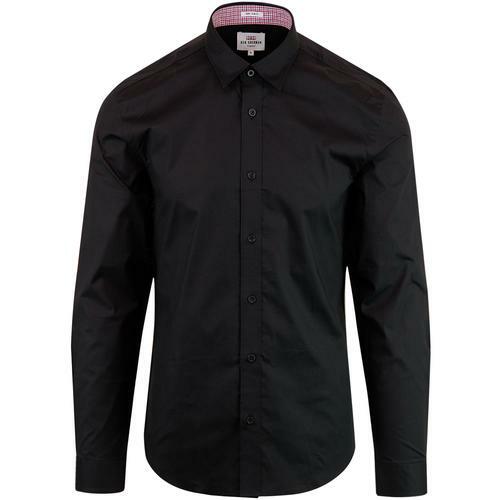 - Textured fabric construction with widespread collar. - Ditsy floral inner trims. - Contrast button hole stitch. - Brown retro piping tipping to collar. - Ditsy floral trim to cuffs. - Contrast trim to inner placket. - SKU: LS74630 Tipped Collar Shirt.